Here’s a simple and easy gift idea that I’ve gotten rave reviews on. 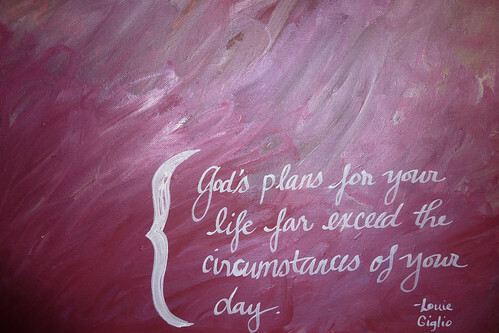 Paint a nice background on your canvas, grab a detail brush (or paint marker, which is what I used) and add your quote. What are some easy gift ideas you’ve done before?